Proquest – contains seven (7) major databases like The Arts, Business, Health, History, Literature and Language, Science & Technology and Social Sciences. Please visit the LRC for the username and password. EBSCOhost – is an intuitive online research platform used by thousands of institutions and millions of users worldwide. With quality databases and search features, EBSCOhost helps researchers of all kinds find the information they need fast. Taylor & Francis Group – has three major content platforms – CRCnetBase, Taylor & Francis Onlineand Taylor & Francis eBooks – that are built around the needs of our many varied and valued customers. ACM (Association of Computing Machinery) – the world’s largest educational and scientific computing society, delivers resources that advance computing as a science and a profession. ACM provides the computing field’s premier Digital Library and serves its members and the computing profession with leading-edge publications, conferences, and career resources. American Biology Teacher – is an award-winning, peer-refereed professional journal for K-16 biology teachers. Topics covered in the journal include modern biology content, teaching strategies for the classroom and laboratory, field activities, applications, professional development, social and ethical implications of biology and ways to incorporate such concerns into instructional programs, as well as reviews of books and classroom technology products. Journal of Biological Education – is a quarterly peer-reviewed academic journal covering biology education. It was established in 1967, is owned by the Royal Society of Biology, and is published by Routledge. The editor-in-chief is Ian Kinchin (University of Surrey). 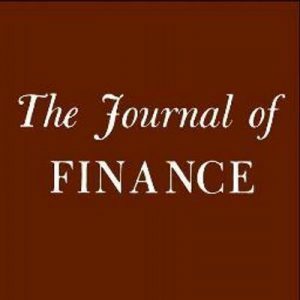 Journal of Finance – The Journal of Finance is a peer-reviewed academic journal published by Wiley-Blackwell on behalf of the American Finance Association. It was established in 1946. The editor-in-chief is Stefan Nagel. It is considered to be one of the premier finance journals.